As one of the leading wedding planners in the South of Spain, I am often asked whether I believe clients should marry in their home country or in Spain, and whether weddings in Spain are better value than the UK. It stands to reason that many couples are nervous about planning a wedding in a foreign land, which is why at Sunshine Weddings Spain we guide and support our couples from the initial ‘hello’ to the final ‘I do’. When choosing whether to marry in the UK or Spain, there are many factors to consider, but Spain still comes out tops. 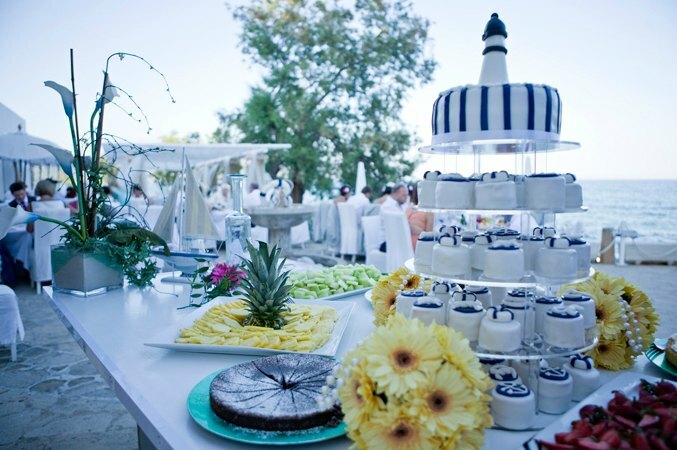 Here are three reasons why Sunshine Weddings think that a destination wedding is the way to go! Let’s start with an obvious one. When was the last time you went to a wedding in the UK and enjoyed a ceremony outside in the sunshine, then dined beneath the stars? Not often, we bet. In fact 90% of weddings in the UK are held indoors or in a marquis for one simple reason – because you can’t trust the British weather. But in Andalucia, Spain (the southern-most part of Europe) we boast over 300 days of sunshine. That means that you only have an 18% chance of it raining on your special day…and a 0% chance if you plan to marry between May-September. So when it comes to having flexibility – be it a beach wedding, pool-side venue or mountain retreat – your guests can enjoy the weather and dance beneath the stars until dawn (without having to bring a cardigan). In the UK there is plenty of choice of fancy hotels, churches and pretty views; but unless you have a stately home or a five star hotel in mind, your wow factor doesn’t stretch much beyond that. But in Spain, you can have your ceremony anywhere. In fact your imagination is your only limit! Our couples have enjoyed breathtaking locations including old castles, private villas in the mountains, 15th century chapels, fincas, bull rings, glamorous beach clubs, haciendas, white washed villages, rustic beach bars, pool-side in 5 star hotels or on a cliff-top overlooking the Andalucian mountains. Weddings don’t get more memorable than that! The dreaded B word! What surprises couples most, when they speak to us about marrying abroad, is how cost-effective it is to tie the knot in Spain. Our couples need to know what a Spanish wedding budget looks like compared to marrying at home. So we have been busy comparing and collecting average costs across both countries for our curious couples, and here is the price list for a top hotel in London compared with its equivalent venue in the glam town of Marbella (and remember, we don’t charge any extra for the Spanish views or weather)! This cost is before bridal party outfits, make up, hair, photographer and videographer – which are also better value than in the UK. Plus don’t forget that you can save a lot of money on the Sterling to Euro exchange rate and get your suit and wedding dress in Spain, with all tailors speaking perfect English, some offering free alterations and Spanish lace wedding dresses costing 30% less in Spain than the UK. So for an unforgettable wedding in the sun, with a stunning location, that won’t break the bank…Spain is the answer. Plus you will have money left over to enjoy a fantastic post-wedding party with all your friends on the beach the day after. Try doing that in the UK!